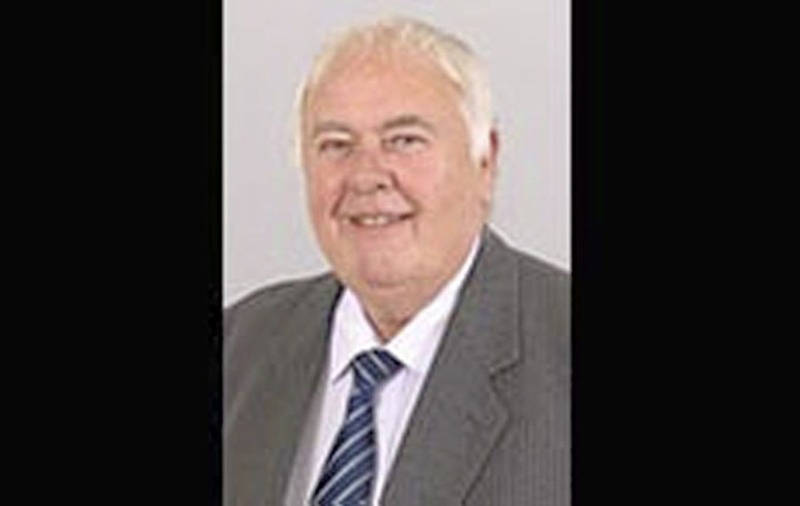 A DUP councillor has called for Irish Army personnel to be given extra housing points if they come to live in Northern Ireland, in addition to members of the British Army, PSNI and former RUC officers. 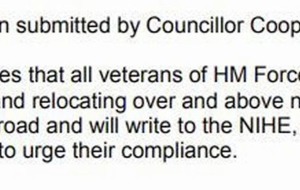 Bill Keery, a DUP councillor on Ards and North Down Borough Council, seconded a motion calling for priority to be given in housing allocation to "all veterans of HM Forces, and RUC/PSNI" at a meeting of the council's corporate services committee on Tuesday. 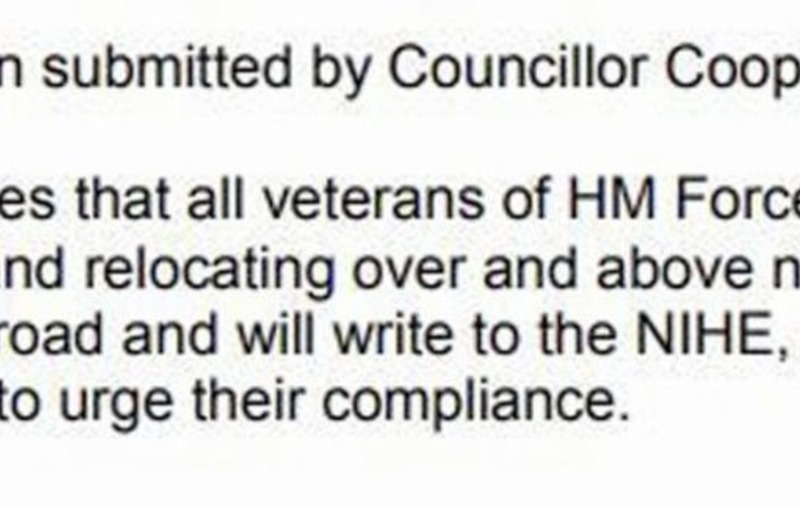 The motion read: "That this council advocates that all veterans of HM Forces, and RUC/PSNI, are given priority in housing and relocating over and above non-UK Citizens or refugees arriving from abroad and will write to the NIHE, Secretary of State, and appropriate departments to urge their compliance." The issue is now expected to be raised again at the full monthly meeting of the council on Monday. 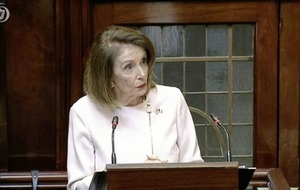 However, Mr Keery said that he understood that the wording of the motion would need to be changed in order to meet requirements under Section 75 of the Northern Ireland Act 1998, in which public bodies are tasked with safeguarding equality of opportunity, good relations and preventing discrimination. In its manifesto for June's Westminster election, the DUP said that it believes that "the military covenant should be reviewed and updated" but did not raise the issue of social housing. The military covenant was introduced in Britain in 2000 and is a UK government promise to look after former members of the armed forces and their families, and armed forces veterans are entitled to priority medical treatment. However, it is effectively an informal understanding rather than a legally enforceable deal. Sinn Féin and the SDLP have opposed its introduction in the north. 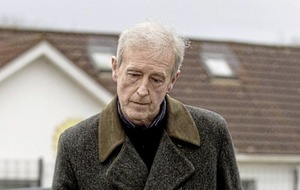 Mr Keery told The Irish News that he "didn't run it past the party" but was expressing a "personal view". "There was reasonably broad support for the motion. The purpose of me seconding it was to allow the debate to be heard at full council," he said. "My personal view is that it should also apply to members of the Irish Army. They should be allowed extra housing points if they come to live in Northern Ireland." The motion was proposed by TUV councillor Stephen Cooper, who did not respond to a request for comment. Mr Keery intervened to get the motion passed after independent councillor Jimmy Menagh's bid to second it failed, as he is not a member of the corporate services committee and is therefore not entitled to vote. At the same meeting a motion was also tabled by Mr Cooper to oppose "any attempt, under any legislative guise, to make Irish an official language in Northern Ireland or to require it to be treated on a par with English" which it said would prove "needlessly divisive".